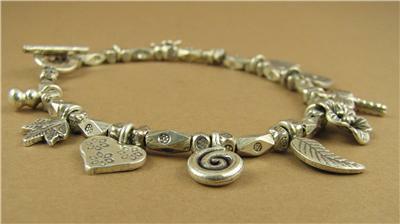 The charms have been handmade by the tribal people in Thailand. 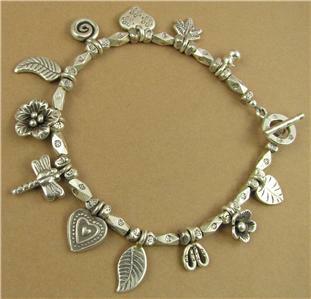 I travel to buy loose pieces from them directly and then make the beads into bracelets of my own design. 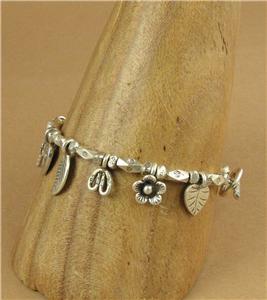 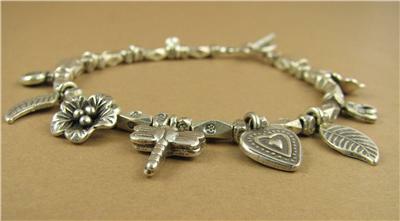 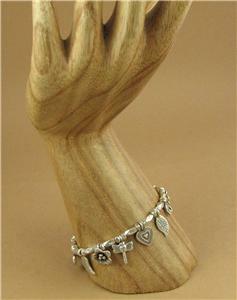 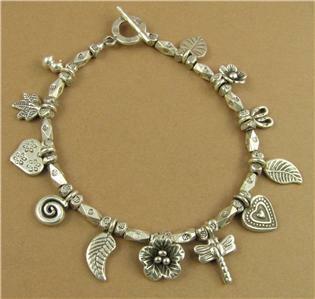 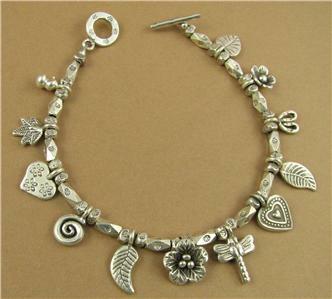 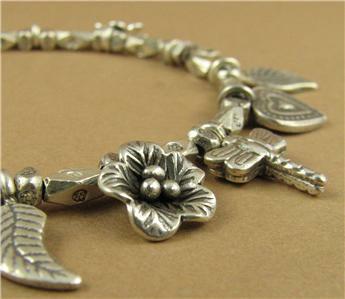 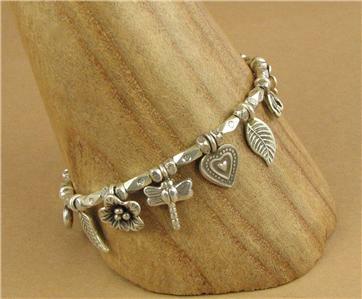 Every bit of the bracelet is solid fine silver which is extremely pure (98%). 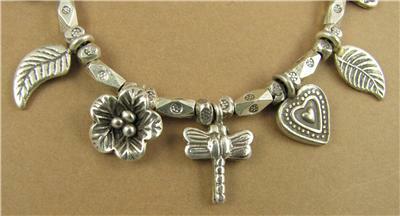 The 2 tiny finishing beads are sterling silver (92.5%).